This is part of the Cut, Mat,Create Collection and is designed to coordinate with the Cut Mat Create 2B Die set. allowing you to create multiple layers with precision and ease. 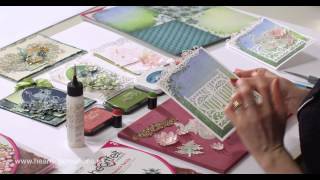 Accent dies allow you to add dazzling details, borders and photo corners to your paper crafting. 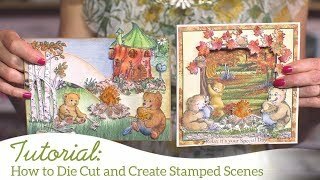 This is an exclusive Heartfelt Creations Die that will work with most manual die cutting systems. Intricate dies may need to be run through your machine a second time, rotating the die 90 degrees with the second pass. 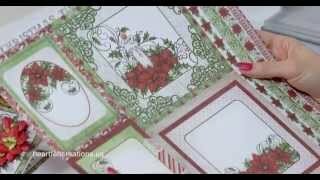 Lining intricate dies with waxed paper will help them to “release” easily. 1. Large Rounded Rectangle: 3 3/4" x 4 ¾"
2. Large Rounded Square: 3 3/4" x 3 ¾"
3. Medium Rounded Square: 2 3/4" x 2 3/4"
4. Small Rounded Square: 1 3/4" x 1 3/4"
5. Large Vine: 4 1/4" x 2 1/4"
7. Small Leaf: 1 3/8” x 1 1/4"